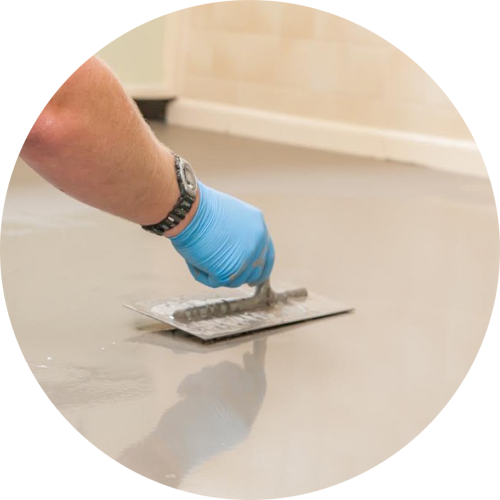 Floor leveling from Hard Grind Floor is an excellent way to ensure that the subfloor of your home or business is perfectly level. This service is particularly important if you are in the market to install new hardwood floors or appliances, as an uneven surface can have a significant effect on the of your home and lead to damage in the long-run. Whether your floor has become uneven as a result of damage to the home’s foundation or simply years of wear and tear, we have the experience, expertise, and proven ability to restore your floor to better than ever before. At Hard Grind Floor, our top priority is to ensure complete customer satisfaction with the work that we do. We take the time to explain to our customers the various repair methods that are available to them, and make sure that they are comfortable with every aspect of the project from start to finish. We strive to offer the best services at the lowest prices in town, as well. In fact, we guarantee that we’ll always beat our local competitors’ prices, so our customers know they’re getting a great value. Floor leveling is an exact science. With so little margin for error, it makes sense to reach out to a local company with the ability to handle the project quickly, professionally, and affordably. To learn more about leveling a concrete floor, contact us today. 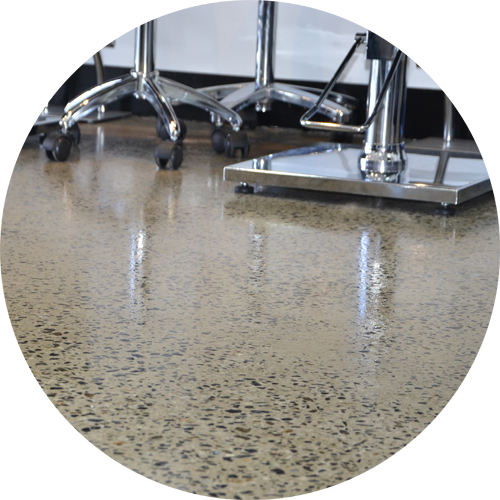 A cost effective alternative to polished concrete floors is to grind the concrete and seal the concrete to produce a high gloss or matte finish. This method starts of the same as polished concrete by doing an initial grind, but instead of continuing the grinding process with higher diamond grits to produce a shine (which is time consuming and costly) we will seal the concrete after the initial grind is completed. 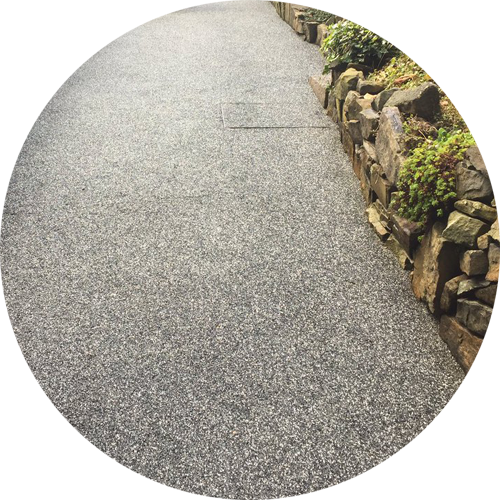 Concrete grinding and sealing is also used when the concrete is too soft to be polished mechanically with diamonds to produce a shine. A concrete stain can be used with this method to produce a decorative concrete floor. The products we use to seal the concrete can range from; water based acrylics, solvent based acrylics, epoxies, and polyurethanes. Sealing your concrete will also help prevent it from “yellowing,” which is when the sun discolors or “yellows” the concrete. Some concrete surfaces are more susceptible than others, and we recommend using specific products when dealing with plain concrete, stamped concrete, or white sand concrete. Contact us today for Grinding & Sealing your Concrete. We offer a 98% dust free floor sanding service for commercial and residential customers. We sand and polyurethane both old and new floors, even if existing floors have had lino or cork tiles on them. 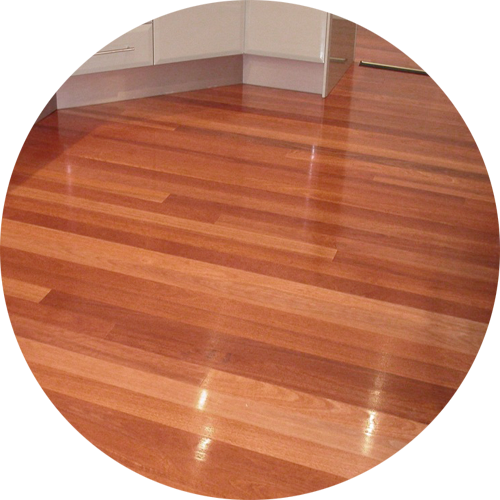 Most of our solid timber floors have a tongue and groove profile. We direct stick these using a glue to match both the substrate and the flooring. Alloy strip is used where the timber floor terminates so that the finish is a clean line. We can lay directly onto the concrete slab, particle board flooring, battens or onto a plywood substrate, depending on architectural specifications. Providing top quality Restoration of Paving & Roadways is one of Hard Grind Floors’ specialties. From major community roadways to the curbside of a residential driveway, the expertise of our work crews is apparent in the professional application of proper sub-base grades and compaction to keep roads safe. Through our advanced pavement engineering techniques, our pavement consultants ensure quality and extend the life cycle of your systems. © 2017 Hard Grind Floors. All Rights Reserved.